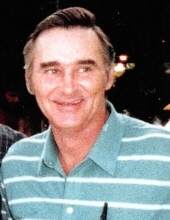 Coy Leon Cornett was born April 21, 1944 and departed this life Wednesday, November 28, 2018 at the age of 74. He is survived by his wife, Peggy Cornett of Annville; two sons, Coy Jeffrey Cornett of California and Rodney Cornett and his wife Patty of Annville; step daughter, Heather Morris and her husband Rodney of Gray Hawk. He was blessed with two grandchildren, Macy Ayers and her husband, Micah of Gray Hawk and Seth Cornett of Annville; two great grandchildren, Maxon Lee Ayers and Mayla Sawyer Ayers; two step grandchildren, Jade Coffey and Landon Morris and a step great grandson, Lane Weston. Other survivors include a sister, Peggy Sparks and her husband Ronnie of London; step sister, Rita McQueen Tankersley and two step brothers, R.G (Karen) McQueen and Roger McQueen. Coy was preceded in death by parents, Bill & Bessie (Nantz) Cornett; by his step father, Hubert McQueen; two sisters, Geraldine Cornett and Veverly Sue Lewis; one brother, Billy Cornett and by his first wife and mother of his sons, Carol Sue (Tillery) Cornett. Coy was a member of the Pine Grove Church of Christ. He was also blessed with many friends and relatives to mourn his passing. "Email Address" would like to share the life celebration of Coy Leon Cornett. Click on the "link" to go to share a favorite memory or leave a condolence message for the family.